After a recent visit to St Petersburg, Russia, I was amazed by the beauty and stunning colours of the buildings. The ideas for new yarn colours were exploding from my brain, and I couldn’t wait to get home to experiment. So I present to you the first new colourway inspired by my brief Russian visit: Twelve Collegia. This colour is a rich rusty red, with hints of charcoal and white; seen here (L-R) on Kid Glove Lace, Tough Stocking and Silken Sheath. These skeins will make their debut at the Melbourne Christmas Market on Sunday 1st December 2013. Twelve Collegia is named after the main building of the St Petersburg State University, situated on Vasilievsky Island in St Petersburg. 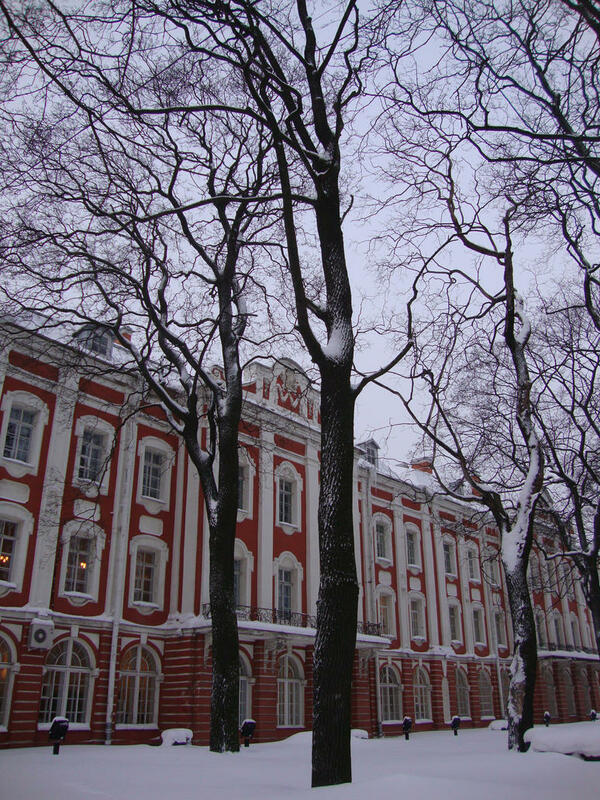 The red of the buildings, with their white window surrounds, look great during the warmer weather surrounded by leafy trees, and stunning against a wintery backdrop of snow and bare tree branches.